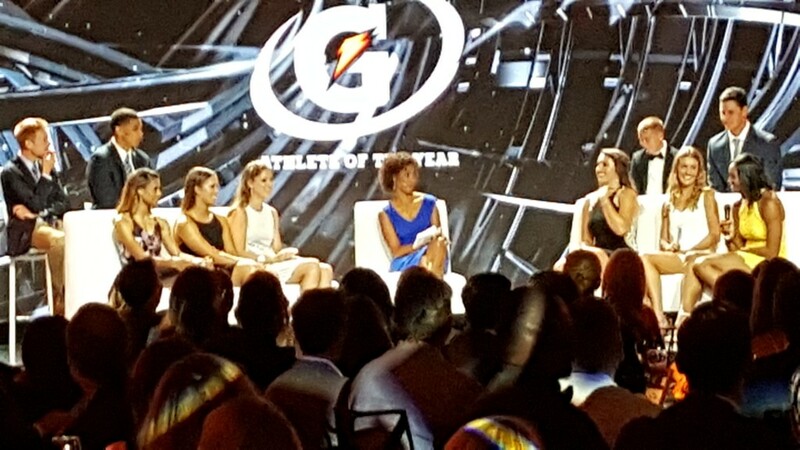 Jayson Tatum and Sydney McLaughlin took home the hardware last night as they were named Gatorade Male and Female Athletes of the Year for 2016. We were on hand at the L.A. Hotel in downtown Los Angeles for the festivities hosted by ESPN’s Sage Steele. This prestigious award for high school athletes has been an annual tradition since 1985 (when it was know as the Player of the Year Awards), and this was our fifth year covering this fun event. The event was attended by sports stars including Cam Newton, Karl-Anthony Towns, Todd Gurley, April Ross, Abby Wambach, Landon Donovan and Matthew Stafford. Check out the image gallery here.